Fascinating! Now if they can just catch the Falcon chatting with Condorman (or maybe Darkwing Duck and Howard the Duck), we’d really have something! 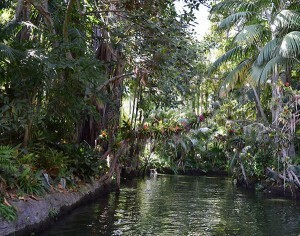 What significant change was made to the Jungle Cruise attraction when the Indiana Jones attraction was being built? a) The river was lengthened so that the attraction’s duration in seconds was identical to the Indiana Jones trilogy’s run time in minutes. b) At the point where an anaconda in a tree is seen, a very forced “why did it have to be snakes” joke was shoehorned into the spiel. c) Added scene where hippo attacks the boat with jaws full of gigantic teeth and the skipper just shoots it. d) The shrunken head held by Trader Sam got a tiny hat and whip. Who was the original sponsor of the “it’s a small world” attraction? 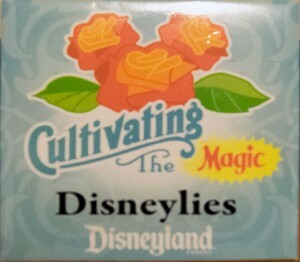 Yesterday, the DisneyLies staff took a completely unearned break and went on the Disneyland “Cultivating the Magic” guided tour (not to be confused with Disneyland’s “Magic Cultivation Internship,” which is a long-term commitment opportunity to visit the park after hours and assist with grounds-keeping without the burden of summer heat or wages). 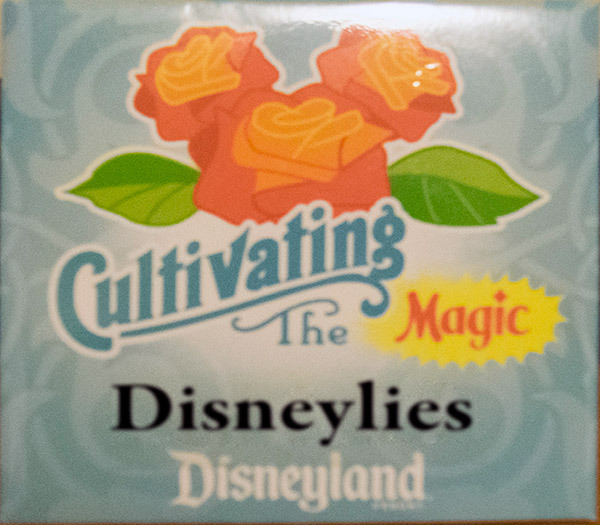 Before the tour, guests are given a customized “Cultivating the Magic” badge. This helps keep the group together, and gives participants a sense of superiority over those who only paid for park admission. 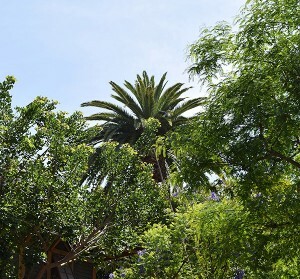 The tour spans some twelve hours and involves in-depth discussion of and interaction with the 8,000+ species and varieties of plants on Disneyland grounds. Guests are reminded to wear long sleeves and to tuck their jeans into their boots. Standard booster shots are recommended but not required. We will not detail the entire tour here. 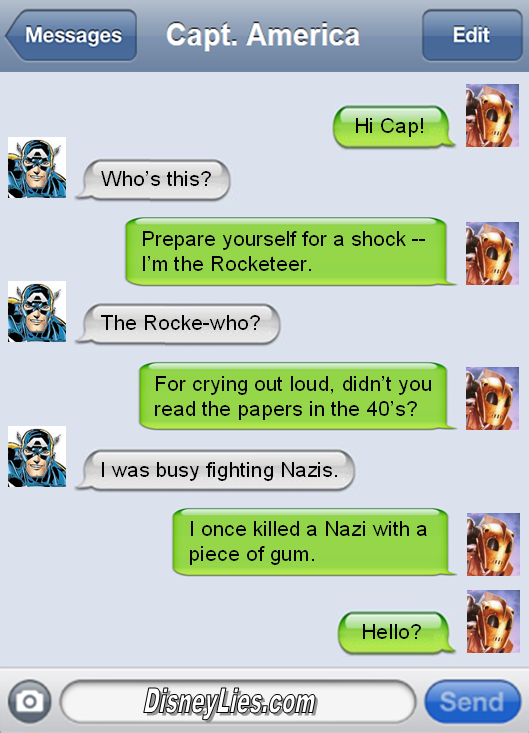 Instead, we present our 10 favorite bits of information learned during the experience. 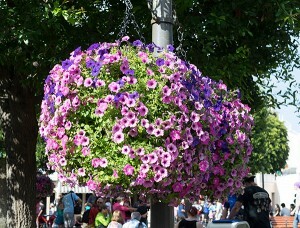 1: Disney is a leader in planet-friendly gardening. For example, did you know that every single plant at Disneyland is entirely solar powered? 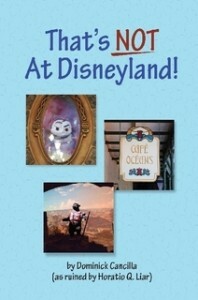 2: Disney’s water system is completely self contained. Water cycles endlessly through a series of underground pipes to keep it from stagnating, and evaporation is counteracted annually with the tears of guests when ticket prices are increased. 3: The Jungle Cruise has many plants, quite a few of which are cleverly cultivated to mimic jungle plants that are unable to grow in California’s climate. For example, many vines are simulated with the roots of orange trees that have been planted upside down, necessitating extensive digging at each orange harvest. 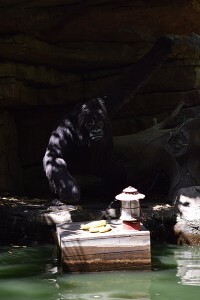 4: The bananas set in front of this animatronic gorilla have to be replaced each day to keep them fresh. A stickler for tradition, Disney grows their bananas using trees that, instead of being grown from banana seeds, were created by taking cuttings from the first banana tree ever used. 5: This Adventureland palm tree, the tallest in the park, is named the “Dominguez Palm” in honor of the son of the owner of the property on which Disneyland was built, Ron Palm. 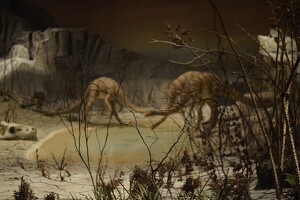 6: The plants in the Primeval World Diorama were grown using genetic material culled from the remains of seeds found in the stomachs of amber-preserved prehistoric vegetarian mosquitoes. 7: The hanging baskets found throughout the park are created by wrapping a golf ball in layer upon layer of roots until a giant ball is formed, into which flowers are stuck. 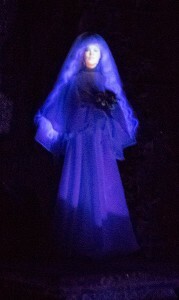 8: The Haunted Mansion’s “Little Leota” holds a bloom of hemlock. It’s widely known that all of the plants in Tomorrowland are edible and none of the plants in Toontown contain right angles, but did you know that every plants visible in the Haunted Mansion is either poisonous or venomous? 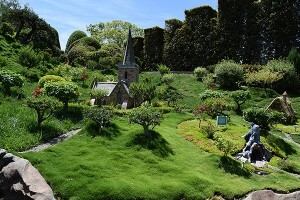 9: To keep the plants in Storybook Land small, they are each planted in a small, buried pot. This is why it is often said that this attraction is full of pot plants, much to the delight of junior high school students and those who sympathize with their sense of humor. 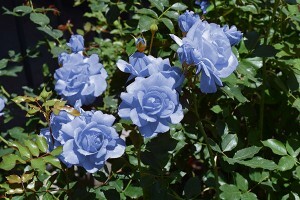 The rose bed behind the Dumbo attraction contains the official Disney rose, copyrightus Disneyanus. The rose was bred to bloom in the precise PMS color of Disney-logo blue. Seeds are available at most gardening centers, but before you plant your garden, be sure to read the small print on the packet. Although Disney is happy to let you grow and enjoy their rose, they technically only grant you a license to use their rose, so you do not really own the flowers outright, and Disney does not guarantee that the plants will be compatible with future soil conditions.